Basically, is pursuing a workers compensation case worth your time and energy? Is your case likely to succeed, either through a settlement or winning in court? Or are you better off biting the bullet and paying your medical bills yourself? These are tough questions because every injury and every case is unique. Even if you feel like your situation is hopeless and that no one has your back, the right attorney can often provide clarity for the murkiest of cases. Right now you’re probably feeling frustrated and angry with your employer, their insurance company, and the whole workers comp system that’s designed to protect you, but seems to be leaving you behind. Before you weigh your options and decide whether or not to pursue your workers compensation claim, let’s examine some crucial information about the whole process that might make your decision a little easier. Maybe you didn’t get a reason. Maybe you got a bad reason or an unbelievable reason. But if you’re here, one thing’s for sure—your claim was denied. One of the biggest reasons most workers comp claims are denied is that they weren’t filed or reported on time. Workers compensation claims must be reported ASAP, usually within a few days of the injury. Your employer is also responsible for telling the appropriate insurance provider just as fast. The other common reason for denied claims is simply that your employer is disputing the claim. They may dispute that the accident ever happened at all, that your accident isn’t work related, or that your accident was work-related but your symptoms aren’t related to the accident. In that case, you’ll need to prove your claim is legitimate. You can do so by gathering witness testimonials and doctor statements. Unfortunately, employers and insurance companies often look for any reason at all to deny workers comp claims. A denied claim means reducing expenses, and companies are sometimes concerned more with their bottom line than employee well-being. Next up, let’s take a look at what rights you have as an employee under workers comp laws. Workers compensation laws vary from state to state, but most afford the same basic rights to all employees. Here, we’ll use Utah as an example—your state’s exact laws may vary, but should afford similar fundamental benefits. Anyone in the direct service of an employer, whether working illegally or legally, is considered an employee. That means minors and aliens are also protected by Utah’s workers compensation laws. Independent contractors, on the other hand, are a little bit different. Independent contractors and their employees/subcontractors are not eligible for workers compensation claims against the business for whom they’re working for—and indeed some businesses mislead employees into working as ‘independent contractors’ to avoid workers comp claims. However, if these independent contractors become statutory employees—meaning the employer retains the right to supervise and control the contractor’s work—then the contractor may receive the same benefits as a traditional employee. In some cases, you may even be eligible for workers compensation benefits if you were injured working outside of your home state, but this depends on factors such as reciprocal workers comp agreements between states, time spent out of state, and how soon your injury occurred after beginning work outside the state. Accidental employee injuries (not self-inflicted) that occur during the normal course of employment are covered under your state’s workers comp laws. Covered diseases and illnesses are any that arise during your employment and are directly caused or made worse by your employment. Say you twist your ankle at a company softball game, or slip in a puddle of soda at your company Christmas party. Many times we see cases with blurred lines between work-related and not. Proving your injury is work-related is critically important to building a case, which is where experienced attorneys can pay dividends. How Do You Appeal a Claim Denial? In many cases, the letter you receive describing why your claim was denied also includes information on how to appeal the denial. Read this letter very carefully, and write down any appeal deadlines. First of all, get in touch with your employer or its insurance company to discuss the denial. Sometimes claim denials boil down to incorrect paperwork or clerical errors, and can easily be straightened out. If your employer still refuses to approve your claim, it might be time for an appeal. In this case, it’s better to speak with an attorney. The appeals process can be time-consuming and difficult without professional legal council. Oftentimes, simply hiring an attorney is enough to convince the insurance company to settle out of court without a lengthy legal battle. And speak with a lawyer sooner rather than later. Appeal deadlines, like your initial claim deadlines, are very strict. Act fast before you lose your right to appeal. If you choose to hire a lawyer, you should also meet with the attorney before filing the appeal. Workers comp claim appeals are complicated—if you make a mistake early on, you may lose out on the compensation you deserve. In fact, one of the biggest reasons honest people lose out on their benefits is because they didn’t hire a professional workers compensation attorney. Can You Represent Your Own Case? We never push people to seek professional help if they don’t need it. 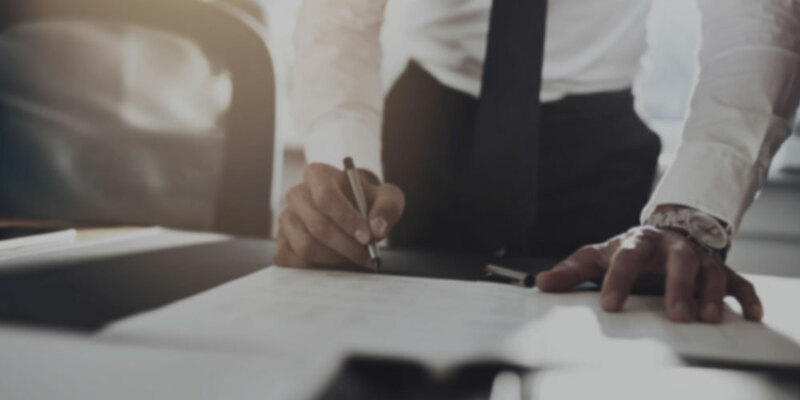 Let’s go over a few scenarios where you can feel comfortable representing your own case, and a few situations where professional legal help can make all the difference. I say it’s important to hit all of these criteria, and I mean all of them. I’ve seen so many heartbreaking cases of workers choosing self-representation when they don’t have an airtight case, and the results are usually not good. But let’s say you don’t have a cut-and-dry injury, and self-representation isn’t an option. When should you seek professional help? And you know what? They’re right. A majority of people who are denied just give up. However, a workers comp lawyer has no up-front cost, but a huge upside once those well-deserved benefits start rolling in. 5. Your injuries leave you unable to return to your previous job, or any other job. Plus, you have to understand that the workers comp system no longer acts as a safety net for injured workers. It’s tilted to the benefit of employers and insurance companies, who maintain vast networks of high-paid lawyers for the express purpose of denying your claim. Ultimately, whether you choose to self-represent or hire a legal expert is up to you. However, if your case involves any sort of complexity, I urge you to seek professional assistance. How Do You Find a Great Workers Comp Lawyer? Finding a workers comp lawyer isn’t actually that hard, but taking the first step can be confusing. Let’s take a look at the calling cards of a bright, dedicated attorney, and how you can land the best lawyer for YOUR workers comp case. With many lawyers relying on word of mouth to get referrals, the best place to start your search is with family, friends, or colleagues. Attorneys who handle cases will have no shortage of happy clients. Another great place to look is at state or local legal aid offices and bar associations. Referrals are much more likely to produce skilled workers comp attorneys than simply calling the first name that pops up in the phone book. Online sites allow users to review everything from ice cream shops to travel agents—and that means lawyers, too. Sites like Avvo have extensive lawyers directories nationwide, spanning all practice areas. Using these sites is a nice way to collect extra information to supplement personal referrals. Of course, don’t overlook your prospective attorney’s website. A professional-looking site with well-written, knowledgeable content is a sure sign that the law firm is committed to educating and reaching out to potential clients online. On their site, look for answers to the most common workers comp questions, testimonials from past clients, and detailed information about the lawyer’s experience with workers comp cases. Websites don’t tell the whole story, but a solid site more often than not means the firm in question is a reputable choice. The most important step in this process is the consultation. Even great websites and shining reviews can be useless if the lawyer just doesn’t feel right after meeting face-to-face. What percent of the firm’s cases are workers comp cases? Ideally you’ll want attorneys who focus 100% on workers compensation. How long has the firm been practicing workers comp law? Will the attorney you’re meeting with handle the case personally, or will the majority of the work be delegated to assistants and paralegals? If you call the lawyer’s office, will you be able to speak with your lawyer or their assistant? Can the attorney clearly explain the entire workers comp legal process in a way that anyone can understand? Can the attorney identify the strong and weak points of your case? Is the lawyer a member of any professional legal associations? These are just a handful of questions, but should be enough to get you started. The key here is feeling totally comfortable. Great lawyers should be able to answer all of your questions honestly, without any slippery sales talk. Decision Time: Can the Attorney Get the Job Done? Walking away from the consultation, do you feel confident? Assured that the lawyer in question can get the job done? Meet with several lawyers to avoid making a snap decision. Patience, authority, friendliness, responsiveness—these are a few of the qualities you should look for in a lawyer (and the rest of their office staff). The workers comp process can take a while. It’s crucial to find a partner who can get you to the finish line. Find a team that treats you with respect, and that gives your case the best chance at success. As you can see, figuring out if you have a case or not—and whether that case is strong or not—is a tough process. You might even have people actively working against you to make you feel isolated and weak, and that your case has no hope in court. That’s the story of countless hurt workers all across the United States, but many of these stories have a happy ending. If you believe your injury is work-related, if you’ve been ignored and denied by the insurance company, and if being denied those benefits is interfering with your ability to live a full life and get back to work, you may very well have a workers comp case. The only way to remove all doubt is to speak with an experienced workers compensation specialist who knows all the ins and outs of the system, someone willing to fight on your behalf to get the compensation you deserve. And even if you think your case is hopeless, don’t give up just yet. You deserve a second opinion.